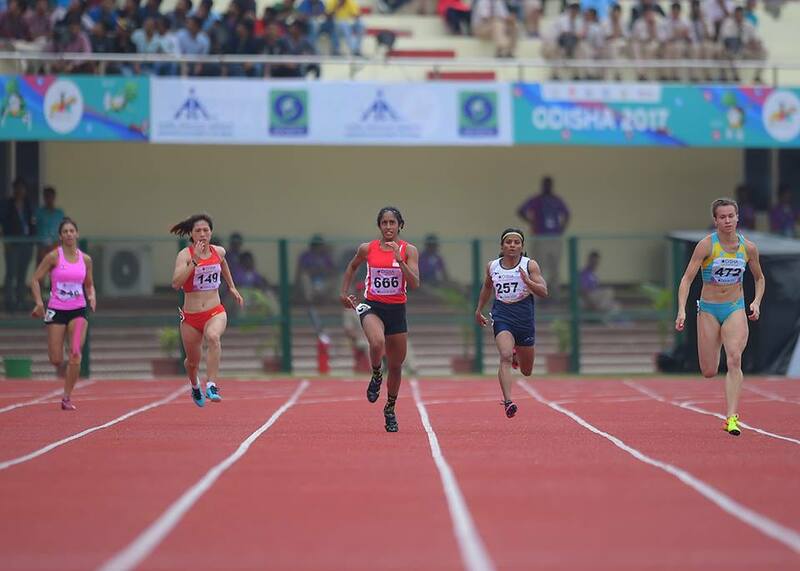 The four day 22nd Asian Athletic Championship (AAC) came to an end today with the glittering performance of dance group from across the participating Asian nations in the magnificent and refurbished Kalinga Stadium at Jaydev Vihar in the heart of Bhubaneswar- capital of Eastern Indian state of Odisha. Earlier on 5th July the inaugural ceremony was equally splendid and the theme was set in the ancient history with the Sun marking the epitome of the show and performances linked to the ancient Buddhism characteristic of the state and its relations with other Asian countries like Thailand and Sri-Lanka. Forty-five Asian nations with around 800 athletics of national and international repute took part in this mega meet. Both the inaugural and concluding ceremony received wide appreciation from across the globe apart from Asian nations including India. Indian contingent being the champion of this meet with highest number of medals is the true icing on the cake. What made the incident even more happening is the way the city plunged into contention to host it after another Eastern Indian city of Ranchi – capital of Jharkhand – a BJP rules state, pulled out just three months prior to the event and the reluctance of Maharashtra and Tamil Nadu in organizing the event in such a short notice. The effort that the city has put in restructuring and renovating the Kalinga Stadium and the vicinity, to host such a prestigious and huge event of the continental level in just three months’ time is praiseworthy. 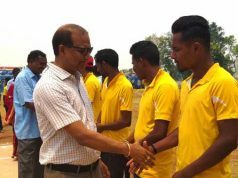 The sports officials of Odisha, India, Asia and World athletics were highly appreciative of the full support from the state administration headed by the Chief Minister, Mr. Naveen Patnaik himself. And why not? The single minded effort by the state administration under Mr. Patnaik in spite of the political bickering arising out of opposition BJP and Congress in the run up to the event towards questioning the competency of the government and allegations of irregularities is well known but at no time the state administration faltered in their efforts to accomplish the target in ninety days and amidst monsoon closer to the event. The city getting the adequate help from Telangana, with two large Mercedes Benz bus for commuting the delegates and players from their place of stay to Kalinga Stadium is an example of the government not being extravagant in its expenditure rather being just in its approach to the game related expenses though a large chunk of the money came from Asian and World Athletics Federation. Needless to mention, though the event was organized in a flat ninety days’ time, there is not a single instance of any corruption or mal-practices in construction of related infrastructure pertaining to the event till date. Here one remembers the great commonwealth game scam of 2010 and the complicity of both the then Delhi government and Union government both ruled by Congress. 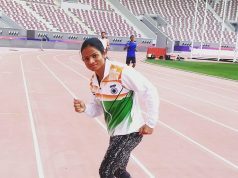 The city of Bhubaneswar slowly and gradually got a makeover and so did the venue, with new synthetic tracks and other facilities directly supervised by the CM himself. Ahead of the event the Team Bhubaneswar comprising of Bhubaneswar Development Authority (BDA), Bhubaneswar Municipal Corporation (BMC) and other city officials was on a mission mode to handle civic problems. Dr. Krishan Kumar, the commissioner of BMC and Chairperson of BDA, lead the “Team Bhubaneswar” which was on the task to handle sanitation, encroachment, food safety. Review meetings at regular intervals and fixing up the responsibilities towards timely completion of the related work was the hall mark of the Team Bhubaneswar with adequate support from the state government with the Secretary of Sports Vishal Dev being the single point contact person overseeing the entire preparation for the event. True to its spirit, to bring honor and glory for the state and the nation in addition to the temple city Bhubaneswar was the motto of the entire event preparation team. The announcement by the CM Mr. Patnaik in the concluding ceremony about developing Kalinga Stadium as Kalinga Sports Complex is a testimony to the hard work put by Team Bhubaneswar. The social connect initiative for the meet was conducted by Bhubaneswar Municipal Corporation and Bhubaneswar Development Authority and was started in June with the unveiling of Olly – the mascot of the event- to create the required buzz about the event. Olly is a turtle, colored in olive green and had the privilege of being welcomed by a special song and human chains, visiting prominent places in the city including schools and colleges to encourage youth to sports and also create awareness about the event in the city itself. Odisha CM Mr. Patnaik is always criticized for his over dependence on bureaucracy and running the state administration with his chosen bureaucrats. Organizing a mega event of the stature of AAC in a short span of ninety days could not have been possible had there been the involvement of political representatives be it the Mayor of BMC or the local MLAs and MP even though they are very familiar with Bhubaneswar or by involving the concerned Minister who himself is in the helm of affairs since last two months only. It is the conviction of Mr. Patnaik and the free hand given to the chosen bureaucrats with a clear understanding about the target to be accomplished makes such event possible. Incidentally, BJP National President was in Odisha from 4th late night till the evening of 6th July and was staying in Bhubaneswar. He was to conduct road shows in some districts of the state. It is petty on the part of the BJP state functionaries to put the posters of BJP President along with party flags in the roads close to Kalinga Stadium and elsewhere in the city where the flags of the participating nations were adoring the city streets beautifully. The people of Odisha at large disliked it and lauded the efforts of Bhubaneswar Municipal Corporation(BMC) in removing it before the event. It is another matter that even if invited to the inaugural function, the Union Sports Minister did not attend it on health ground and the state BJP MLAs did not find it proper to attend the inaugural function at the Stadium in spite of the arrangement made by the government to ferry the MLAs, MPs, State Ministers to the venue from the state assembly in chartered bus with arrangements for food and beverages before and after the events. The two Union Ministers from Odisha who otherwise attend all sundry street functions in the state and are always look for invitation to such functions in the state and are seen mostly in the state than in their office in New Delhi did not find it proper to grace the function. Rather they were busy showing of their obeisance to their visiting party president in accompanying him in his road shows along with state BJP legislators. On the other hand, Congress legislators showed their political sagacity in attending the function. This is the third time when India has hosted this event after Delhi in 1989 and Pune in 2013. Perhaps occasions and events like this and zeal with which it is being hosted and that to by a State capital city in such a short notice marks the rise of India’s becoming a true global super power in every aspect and might even pave the way of hosting a summer Olympics or similar mega sports event in near future in the city of Bhubaneswar or elsewhere in the country.